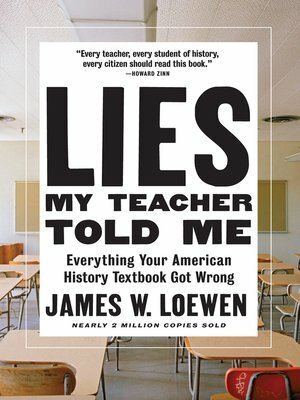 For this new edition, Loewen has added a new preface that shows how inadequate history courses in high school help produce adult Americans who think Donald Trump can solve their problems, and calls out academic historians for abandoning the concept of truth in a misguided effort to be "objective." What started out as a survey of the twelve leading American history textbooks has ended up being what the San Francisco Chronicle calls "an extremely convincing plea for truth in education." In Lies My Teacher Told Me, James W. Loewen brings history alive in all its complexity and ambiguity. Beginning with pre-Columbian history and ranging over characters and events as diverse as Reconstruction, Helen Keller, the first Thanksgiving, the My Lai massacre, 9/11, and the Iraq War, Loewen offers an eye-opening critique of existing textbooks, and a wonderful retelling of American history as it should—and could—be taught to American students.